The greatest English version of the stories of King Arthur, Le Morte D'Arthur was completed in 1469-70 by Sir Thomas Malory, "knight prisoner." 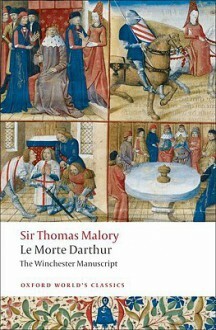 This edition is the first designed for the general reader to be based on the "Winchester manuscript" which represents what Malory wrote more closely than the version printed by William Caxton. Extensively annotated, this edition is highly user-friendly. About the Series: For over 100 years Oxford World's Classics has made available the broadest spectrum of literature from around the globe. Each affordable volume reflects Oxford's commitment to scholarship, providing the most accurate text plus a wealth of other valuable features, including expert introductions by leading authorities, voluminous notes to clarify the text, up-to-date bibliographies for further study, and much more.